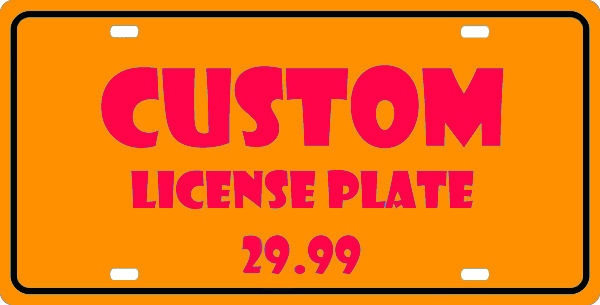 Custom License Plate for $29.99 (call or email for a quote please) Select this option if you would like a custom license plate made for $24.99 fill in the details on the next screen, you should pay before making your request, if it is something I can not do I will promptly issue a refund. Made of .032 gauge aluminum, therefore they won't rust or corrode. Unlike license plates made of plastic, these won't get brittle and crack.